At that point in time I wasn’t entirely sure where I stood with outdoor art festivals and if I even wanted to continue. To be frank, I wasn’t having the best of luck financially and every year seemed to push me to the edge of my financial limits and dreams. My meeting with Raul sealed my fate that day. They did in fact want to have me as their poster artist, assuming no other candidate was slated by some of the higher ups, which meant I was going to still do shows. My mind was blown. Me? They chose me for the 50th of all occasions? Oh boy. The vision they had in mind for the poster was something to do with opening doors, doors, keys, and the future. I ran with those ideas and we had a follow up meeting a month or so later. Raul & Kat were particularly interested in my 365 Project style of processing, and wanted to see something along those lines. The goal was to select something unique using modern technology, a controversial route amongst the traditionalists. 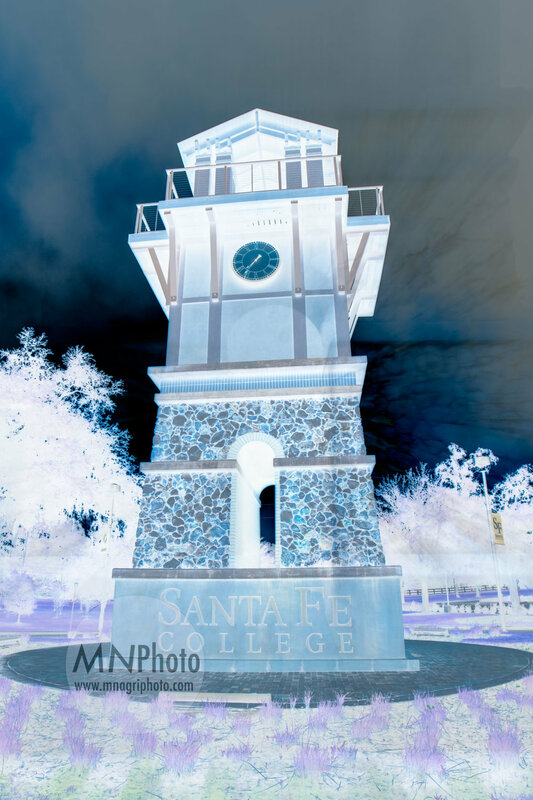 I was fixated on having something related to Santa Fe in the mix. 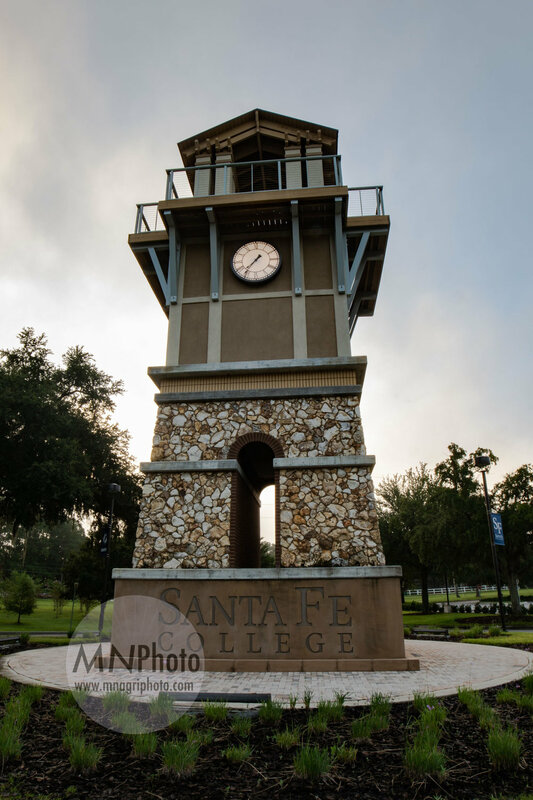 I took some time to go to Santa Fe College’s campus and photograph their clock tower at the main entrance. 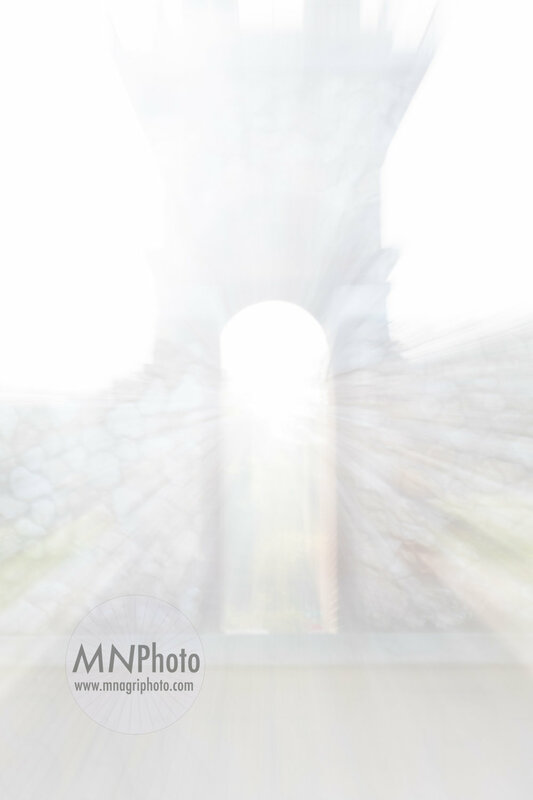 I experimented with zoom blurs which resulted in a keyhole effect. 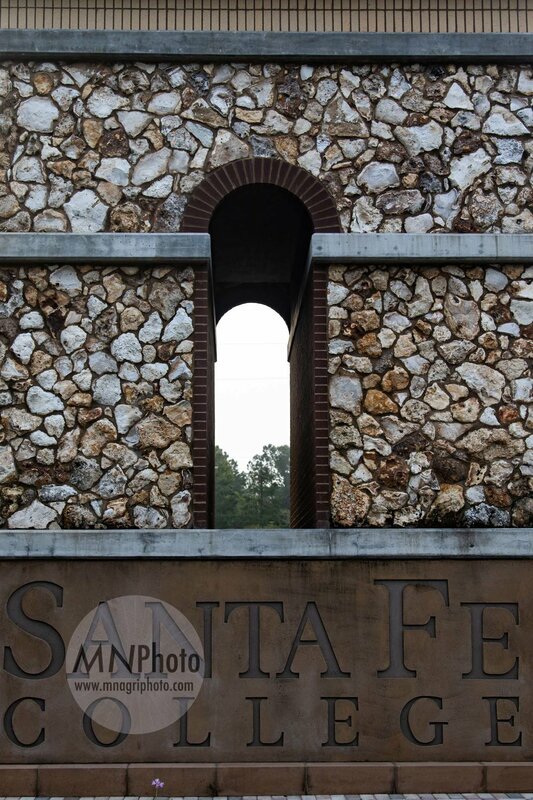 I also used some older images from the Santa Fe River area, particularly Little Blue Springs, and Santa Fe, NM. In hindsight I seemed stuck on a vertical orientation for the poster. You can see that in my selection of images to work with below. I brought them my first round of ideas, but I could feel that none of them landed completely with them. They sent me back to the drawing board, but not before we took a quick tour through my 365 Project library on my website. Raul was particularly struck by #335 from my Dreamers Garden/Gardens for Anne series. He told me to put that in the candidates and come back in a couple of weeks with some other ideas. Feeling a little directionless I thought it would be interesting to go to the Thomas Center, the place where the Spring Arts Festival started. 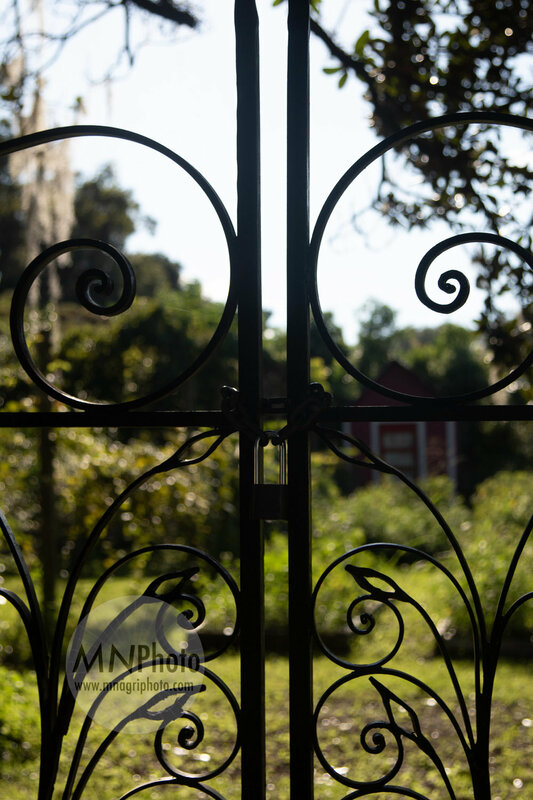 On my way there I stopped by the Dreamers Garden for some high quality shots of the gate. I spent a few hours at the Thomas Center wandering around. There was a crow that seemed to keep following me or maybe I was following it. I was hoping it had some answers for me. Show me the way crow! When I returned with some new ideas they pulled out a few that they really liked, along with #335. 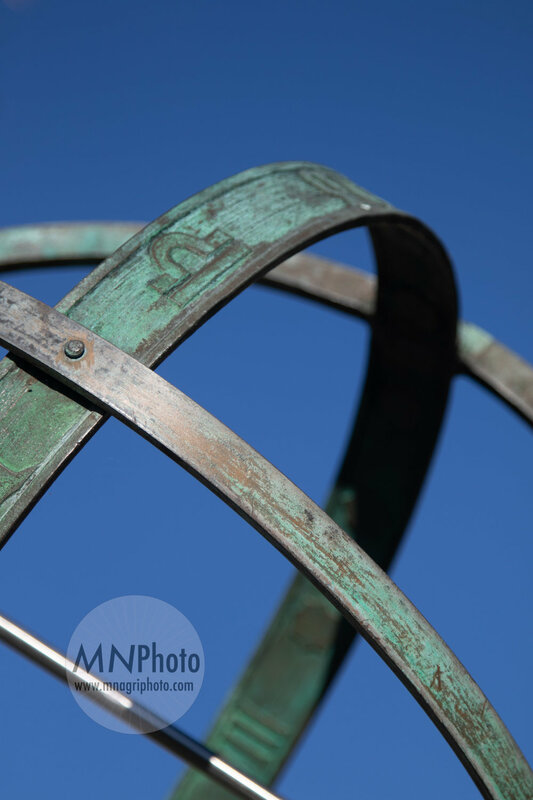 That seemed to be the top contender, which was brilliant considering it came from my 365 Project. They would present my candidates to the board and let me know their decision. The wait was almost unbearable, I thought about it nearly everyday. Finally, a decision was rendered, and as I expected, #335 was the winner. I had to make some slight modifications to the piece, which you can compare below. 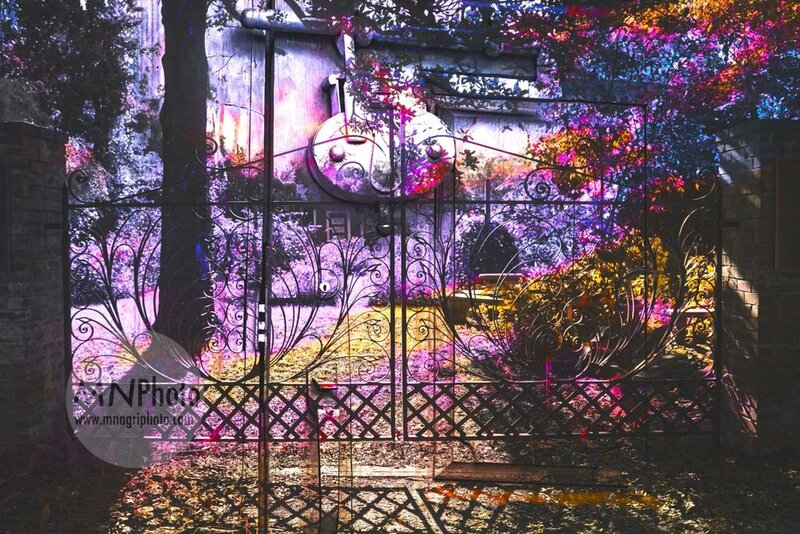 It was at that moment that the 50th Anniversary poster Into the Garden of Dreamers was born. This was only just the beginning of this rollercoaster of a ride. Up to this moment in the story there are things I would redo, things I see in hindsight that I wish I saw in the moment, which means many, many more lessons learned. I plan to continue the story next week as I dive into the months leading up to the show, the poster unveiling, and the show itself. Until then I welcome your thoughts on this process. Did you like any of the other poster candidates that didn’t make the final cut? Did you like the image they did choose? Have you ever been a poster artist for any festival or event? Are you an emerging artist working their way up the ladder? What are your thoughts on art festivals, either as artist or spectator? Looking forward to reading your commentary and sharing more with you next week. If you have enjoyed my photo blogs and want to support the continuation of my blogging, please consider clicking the Ko-fi button below. For as little as $3, the equivalent of a cup of coffee or hot tea, you can help me keep this website running, and the blogs & photography flowing. Just click the “Support Me on Ko-fi” button below, it only takes a minute of your time. Thank you all for your support! Looking forward to sharing more with you.